These events give Redeemer students the opportunity to test their knowledge on a broader stage. 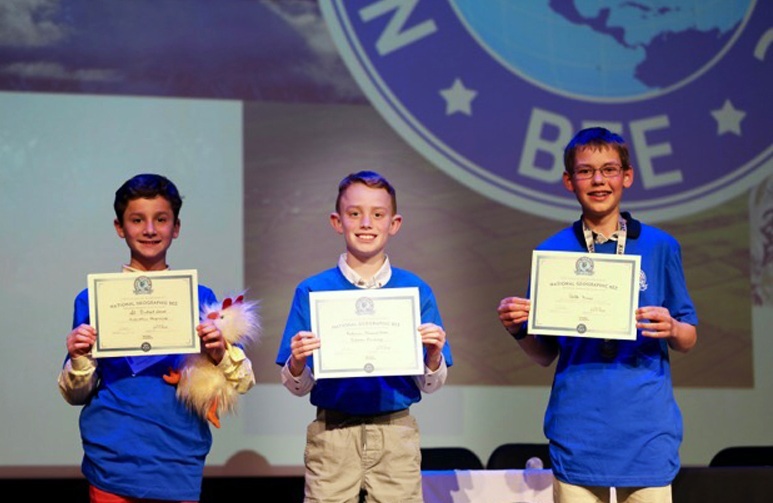 We’ve had individuals compete on the National and State levels in the NATIONAL SPELLING BEE, the Virginia State Science Fair as well as the Virginia State Finals of the NATIONAL GEOGRAPHIC GeoBee. The National Latin Exam is actually quite international, administered to over 140,000 students in 25 countries. Students answer questions on English derivatives and Latin history, mythology, culture, and translation. Most students who take the NLE are high school students, and some are in college. Typically, close to 38% of students who take the exam receive awards. Historically, at least half of Redeemer logic school students score above the national average and many go even further and receive award recognition from the National Latin Exam board. Excellence Through Classics administers the National Mythology Exam in order to “to motivate students to learn about classical mythology and literature.” Over three-quarters of Redeemer students (5th-8th grade) consistently earn bronze, silver or gold medals on the test. The Science Fair is an important component of science education at RCS. Students in kindergarten through fourth grade complete class science fair projects. Students in grades five through eight complete individual projects. Through this process students learn how to apply the scientific method to solve a problem or answer a question. They also learn how to (1) ask good questions, (2) compile research, (3) write a research paper, (4) manage a large project, and (5) work with deadlines. Students gain confidence in public speaking as they present their science fair projects to judges and to their peers. Students in grades six through eight compete in the annual Redeemer Classical School Science Fair, and the top six projects go on to compete at the Regional Science Fair each year.